Microsoft and Epic Games deliver seven new multiplayer maps to Gears of Wars 2 in July's retail release of the Gears of War 2: All Fronts Collection, finally answering the question "what is Dark Corners?" 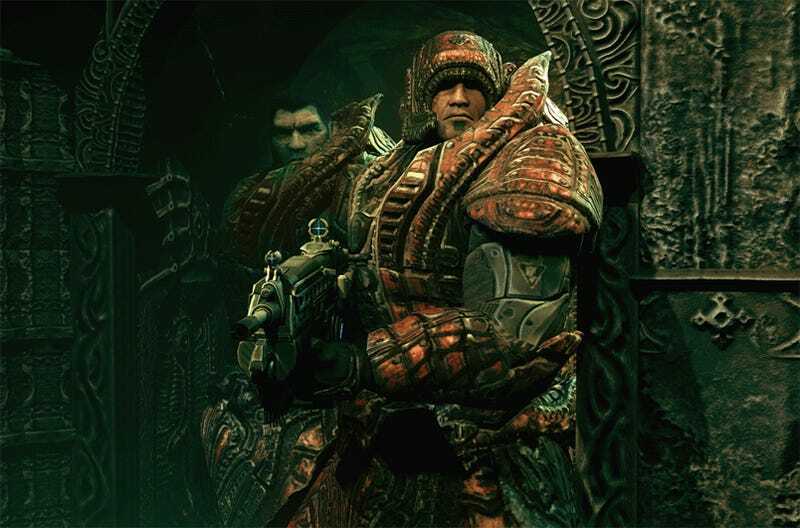 Back in March, rumors flew about a new batch of downloadable content for Gears of Wars 2 called Dark Corners, but Epic denied that such DLC existed. Turns out that they were absolutely correct. Dark Corners is not just DLC. 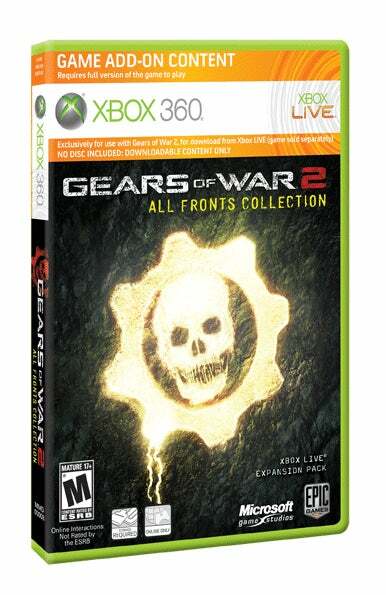 It's a new map pack being included in the Gears of War 2: All Fronts Collection, available exclusively at retail worldwide on July 28th. The collection includes all of the Gears 2 DLC to date, along with Dark Fronts, a collection of seven new multiplayer maps which you can find detailed below and a new single player chapter titled "Road to Ruin". What Is Gears Of War 2: Dark Corners? In order to make the pack worthwhile to those who've already downloaded the majority of the Gears 2 DLC, the package also contains an introduction from Cliff Bleszinski for "Road to Ruin", a collectible poster, a strategy guide, and a custom Xbox Live theme. And the price? $19.99, £14.99, or €19.99, depending on who you're paying for the privilege of taking the package home. A great value for those who've yet to download map one for the game, though things get a bit sketchy the more you've already purchased. The Dark Corners DLC will also be available for download via Xbox Live on July 28th for 1600 Microsoft points, which is also $20. Extras aside, is $20 too much for seven new maps and a single-player chapter? Perhaps the map descriptions will help you decide. * Allfathers Garden: Honor the sacred grounds of the Coalition founders in this explosive map, where powerful weapons catalyze fast and furious action at this COG landmark. * Memorial: Set near the Eternal Flame, which pays tribute to the fallen soldiers on the battlefield, a hard-fought battle ensues at the Tomb of Unknowns. Putting their flank formation and evasive skills to the test, players will fight to control the Boomshot. * Sanctuary: Once a peaceful ground for reflection and remembrance, all that remains of the Sanctuary is the chill of death. Feast your eyes on the arsenal of weapons available as you make your way through the tight paths and blind corners of the Locust-damaged temple corridors. * War Machine: In the abandoned train station that once served as a hub for travel, players will need to master the Longshot, Mulcher and Boomshot weapons to advance the fight while evading fire from the platforms above. * Highway: Take the fight deep into the Locust Hollow in the complex passages of this underground highway system brimming with enemy vermin. Stick together, separate the enemy and have an exit strategy ready or it'll be a one-way trip. * Way Station: Sitting in limbo between death and "processing" are Locust way stations filled with fallen COG soldiers. Tread lightly and practice patience as it's better to sacrifice firepower for stealth while navigating this minefield of hidden grenades. * Nowhere: Set in the middle of what was once a destination for weary desert travellers, the land is now barren and devoid of life. Pick off your enemies with the Longshot sniper rifle and make your way to the stairwell with a well-fortified team during this intense firefight.